Stéphanie Walter — UX and Product designer, Mobile Expert, Speaker, Writer. I am a user centered designer and an expert in mobile experience. I craft delightful products and interfaces with a special focus on performance. I help clients deliver successful projects to their audience, all the way from strategy to the final product. I'm passionate about my work: I write articles and talk at events all around the world. Wondering how to improve your product or website? Let's start with some user research, build a user flow and do some usability testing. I solve problems by understanding user needs and develop user centric products with my clients. I design user friendly and visually appealing products. I craft delightful experiences that let users achieve their goals. I prepare mockups, design systems and interaction guides to communitate with developement teams. With more mobile than desktop users in the world, your content need to be mobile-optimized. If you need assistance crafting an incredible and fast mobile user experience from native apps to responsive websites, get in touch! I speak about some web topics that are dear to me and give workshops around the world. I also teach mobile usability & responsive for the University of Strasbourg. 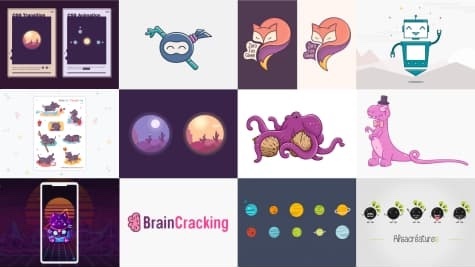 I have a blog and I’ve collaborated with Smashing Magazine, The Pastry Box, Codrops,etc. for pieces on web design, user experience and more. From rich and complex dashboards all the way to mobile apps for care dealers, I have had the opportunity to work on some incredible projects over the years. User Research, UI Design and User Testing for an online questionnaire used by student to pass tests. I worked closely with the HCI research team and developers to build a re-usable design system and a consistent visual identity that will help users (students) focus on the exams, not the interface. Information Architecture Workshop, User Flows and Mobile UI Design for an Ionic Android & iOS app. 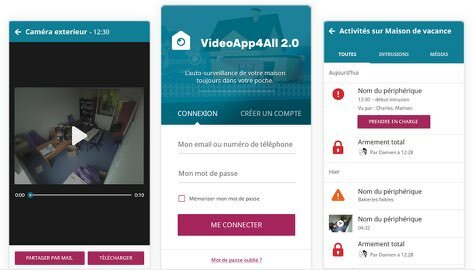 Users can monitor their house, arm and disarm alarm system, check event logs and request live stream videos directly from their phone. I built a consistent mobile style guide and we worked with the development team on user's perception of performance of the live stream. 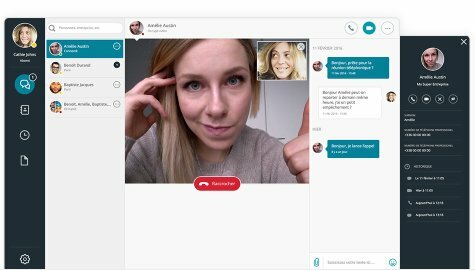 This professional messenger web app interface provides a chat messenger with audio and video conference and a file sharing system. I started with a Usability Expert Review of the current interface. Then I sketched some paper prototypes to quickly iterate and propose solutions to the problems I saw during the review. Finaly I designed the User Interface of the messenger.